Summer is rapidly approaching, and that means Californians who own boats – and their families and friends – will soon be enjoying time on the water. Enjoy, but be careful. If you are charged with boating under the influence in California, it’s just like driving under the influence, and you’ll need to obtain legal help at once from an experienced Orange County DUI defense lawyer. A California State Assembly member from the Bay Area has introduced new legislation aimed at identifying intoxicated boaters. Assembly Bill 539, if approved and signed into law, would allow police officers to obtain a search warrant to test the blood of a boat operator they suspect is under the influence of drugs or alcohol. “California has some of the strictest DUI laws in the nation, but we need tough boating laws as well,” said Assembly member Marc Levine (D-San Rafael), the legislation’s sponsor. Levine cited Coast Guard statistics reporting 4,062 recreational boating accidents in 2013, including 2,620 injuries and 560 deaths. 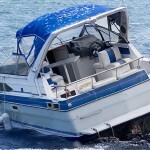 According to Levine’s office, alcohol is the leading factor in fatal boating accidents. The proposed law is modeled on Senate Bill 717, signed into law by Governor Brown in 2013. That law allows police officers to obtain a search warrant to test the blood of any motorist suspected of DUI who refuses a blood test. If approved, AB 539 would apply that same procedure to boaters. A California boat operator who is tested with a blood alcohol content level at or above 0.08 percent can be arrested for boating under the influence. 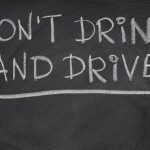 The penalties for boating under the influence (BUI) are similar to those for DUI in California. If you are convicted, you face up to $1,000 in fines and fees, six months in jail, and court-ordered participation at a DUI education or counseling program. If you’re arrested and charged with BUI, do not wait – call an experienced Orange County DUI defense lawyer as quickly as possible.